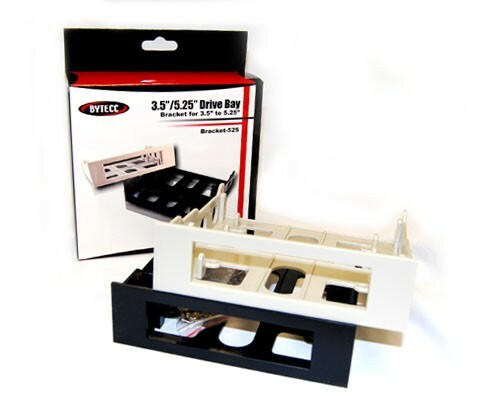 This drive adapter brackets allow 3.5 inch drive size devices to be mounted in standard 5.25 inch drive bays. It works with IDE, SCSI, or SCA drives and includes screws to mount the drive. © 2013 Bytecc Inc. All Rights Reserved.